Today’s challenging global environment demands effective collaboration. With Windchill ProjectLink, you can securely harness the talents and energy of the entire team, inside or outside of your firewall. Through a virtual workspace, Windchill ProjectLink provides access to the right product development and project management information at the right time, keeping the team aligned, on-track, and moving forward. Automates key business processes such as New Product Introduction, Six Sigma, and Advanced Product Quality Planning. 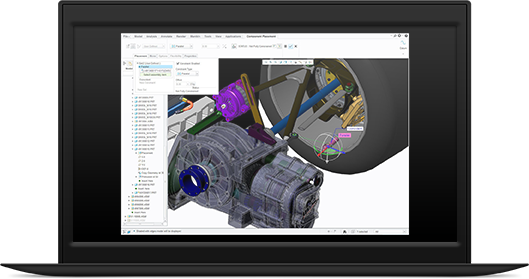 Integrates with numerous mechanical and electrical CAD solutions, Microsoft Office applications, and the Windows desktop. Accelerates time to market by providing real time visibility to current documents, parts, and plan information. Fosters innovation through real-time group collaboration, both inside and outside your firewall. Operates seamlessly with Pro/ENGINEER and Windchill PDMLink for incorporation of product information in cross-enterprise activities.